Tim Hanni loves to pepper conversations with terms like “neuroplasticity” and “smaller molecular weight aromatics” when he talks about wine. The Master of Wine’s approach has a down-to-earth purpose. He wants you to be confident about the pours you like. At the Boston Wine Expo, to be held at the Seaport Hotel & World Trade Center Feb. 18-19, Hanni (pronounced “han-eye”) will present his seminar “Why You Like the Wines You Like.” The talk, based on his book with the same title, introduces his take on the physiological and psychological factors that influence how people experience wine. “People will learn what their preferences are, and the wines they will be happier exploring on their own terms,” he says. It’s also about understanding why people perceive wine so differently. His approach draws from a lifelong journey in food and wine. Born in Ohio and raised in Florida, Hanni started reading wine books when he was a teen. He worked as a professional chef, followed by time in wine retail, and then as a wine importer and broker. In 1990, he earned the coveted title Master of Wine. At the time, he was one of two Americans to have done so. “I passed the exam but was left with an unbelievable weight,” he says. “I remember thinking, ‘Something is wrong with the entire wine community,’ ” he says, referring to what he saw as the “overintellectualization and pseudoscience” permeating wine culture. 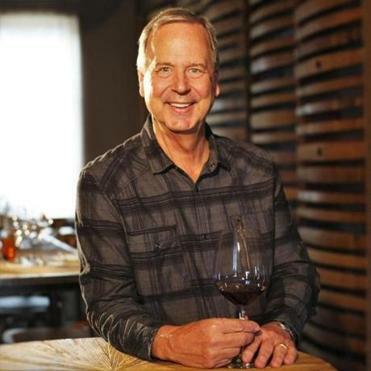 He researched what chemists and physiologists were discovering about sensory perception, drew on his knowledge of gastronomy, and began developing a consumer-centric approach to wine. One of the first things he emphasizes is that some people have hundreds of taste buds while others have thousands, so tastes and smells will be perceived in a wide variety of ways. Experiences over time also influence how individuals evaluate and assign value to sensory characteristics. Hanni took these fundamental ideas, combined them with his research, and developed an online assessment tool that helps enthusiasts determine their “vinotype,” a profile of their unique sensitivities and tolerances. Understanding your own vinotype — whether “tolerant,” “sensitive,” “hypersensitive,” or “sweet” — helps you choose pours with ease. It is especially useful when encountering traditional notions about pairing wine and food. If you are a hypersensitive vinotype, for example, ostensibly moderate alcohol levels might provoke an amplified burning sensation. Similarly, tannins might feel unpleasantly astringent. So that big cabernet sauvignon recommended with the steak? Don’t let anyone convince you that’s the right pour for you. A better selection might be a bottle that’s lower in alcohol and tannin. Having that kind of self-knowledge, says the wine pro, goes a long way toward selecting a bottle that’s delicious to you, and communicating confidently with differently wired tasters.